While the overall perception of Thursday Night Football is negative amongst fans and viewers, the Week 11 chapter of TNF has more than enough intrigue. Nine months ago, quarterback Cam Newton and his Carolina Panthers were on cloud nine after a magical 15-1 regular season and the throttling of the Seattle Seahawks and the Arizona Cardinals in the NFC playoffs. Since their 24-10 Super Bowl 50 loss to the Denver Broncos, the Panthers find themselves in a state of emergency with a 3-6 record this season and their playoff chances hanging in dire straits. In week 11, they welcome NFC South division foe New Orleans Saints (4-5) who themselves are enduring a roller coaster season that has seen highs (comeback win at San Diego, home win against Seattle) and lows (one point home loss to Oakland, controversial home loss to Denver). The loser of this Thursday night matchup will have their season pretty much down for the count, while the winner lives to play another day. Here is the preview and prediction for Saints/Panthers. For the past 11 seasons, regardless of who donned a Saints uniform, everything flows through quarterback Drew Brees. Behind his 2,992 yards (2nd in the NFL) and league-leading 24 touchdowns, the Saints are #1 in the league in total yards and second in scoring offense at 29.4 points per game. The team is coming off a difficult loss to Denver last week in which they appeared to be on the way to a huge victory after Brees connected with receiver Brandin Cooks for a 32-yard score with a little over a minute remaining but a blocked extra point returned for two points by Denver on the following play was the difference in the 25-23 final score. Cooks (44/694/6) has been outstanding this season and has a receiving touchdown in four of the past five games. Of course, a Saints offense is usually filled with pass catchers and in rookie Michael Thomas and veteran Willie Snead, the offense has a pair of receivers that have combined for 93 catches and nine touchdowns and give the Saints offense a stellar trio in the passing game. The Saints offensive line has been good this season but will be without their best lineman in left tackle Terron Armstead, due to knee and quad injuries. The defense is still a liability for the Saints although they have made key plays in recent weeks and the unit is 10th in the league in takeaways and has collected seven turnovers in the past three games. Defensive linemen Cameron Jordan and Nick Fairley total four and 4.5 sacks respectively plus the two have combined for 37 tackles on the season. Rookie defensive tackle Sheldon Rankins has recently returned from a broken leg suffered in the offseason and will be a major factor as he teams with Jordan and Fairley. Free safety Jairus Byrd has also endured a topsy-turvy season but is third on the team in tackles with 33 and cornerback Sterling Moore leads the team in interceptions with two. While their offense has scored 29.4 points per game, the defense has allowed 29.2 points a game this season (30th in the NFL). The tables have turned dramatically for the Panthers. 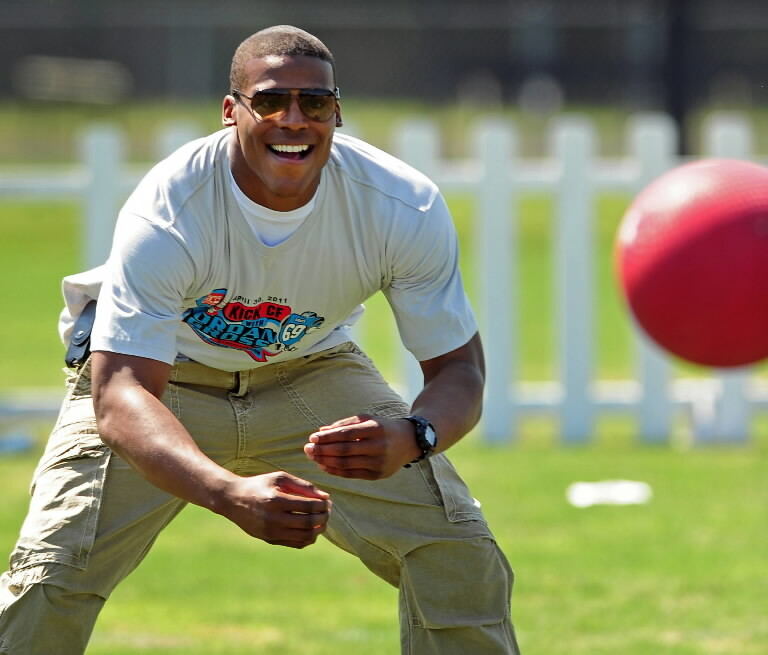 Last season, the organization housed the league’s MVP in Newton, arguably the best linebacker in the game in Luke Kuechly and an intimidating defense. During this 2016 season, Newton has been on the turf an insane amount of times thanks to inconsistency on the offensive line and the team is staring at their season being on the line in this matchup. Newton only has 10 passing touchdowns with seven interceptions and has been sacked 23 times on the season, tied for seventh most in the league. The pressure getting to Newton has occurred both on the field and off of it as well with his displeasure for non-penalty calls on many hits he has taken. 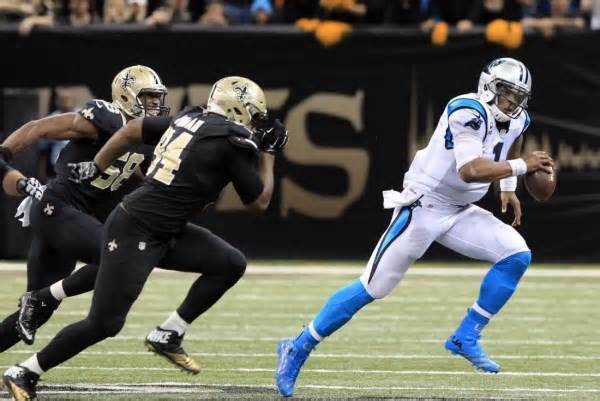 Newton is also tied for the team lead in rushing touchdowns with four along with running back Jonathan Stewart who has 334 rushing yards on the season. Tight end Greg Olsen leads the team in catches (50) and yards (712) with three touchdowns. Injuries have hurt the Panthers this season and that can mainly be seen on the offensive line with right tackle Mike Remmers playing a lot more on the left side as starting left tackle Michael Oher battles with concussions. The defense has plenty of quality parts. As stated earlier, Kuechly is arguably the best at his position and next to him is veteran Thomas Davis as they form the best linebacking duo in the NFL. They are also first and second on the team in tackles respectively and both have combined for three interceptions on the season. Defensive tackle Kawann Short is overshadowed by the linebackers behind him but Short is a legit talent on the interior. Three rookies are in the rotation at quarterback including both being starters James Bradberry (16 tackles, six pass breakups, INT) and Daryl Worley (26 tackles, one sacks, four pass breakups). There is no doubt that this unit has struggled dramatically. In the first matchup against New Orleans a few weeks back, the defense gave up 460 passing yards and 41 points. Even with important parts on the team that were heavy contributors in 2015, the Panthers defense has taken a step back this season, ranking 15th overall and 28th in pass defense. Back in week six, the two teams combined for 79 points plus 929 yards of offense and with the way both defenses have played this season, it is not far-fetched to think that part two will be similar. Both teams are coming off demoralizing home losses in incredible fashions so both teams will be looking to get rid of the sour taste in their mouths because of those losses. With the trio at receiver for the Saints, the Panthers secondary is in trouble if pressure isn’t applied to Brees and keep in mind that the Saints offense is predicated off quick passes with Brees usually making throws to initial reads. Starting running back Mark Ingram must be established as well to take some of the heat off Brees but the Panthers are second in the league in rushing defense allowing only 79 rushing yards per game. In the last five games against Carolina, Brees has thrown 10 touchdowns and seven interceptions and has only cracked 300 passion yards once which was this season by tossing for 465 yards. Yet, the passing game for the Saints this season has looked superb and with a young secondary that he torched a few weeks ago, Brees can have a field day again. When it comes to Carolina, it’s not entirely the fact that they have six losses. The way they have lost this season probably has impacted their psyche: Losing the season opener to Denver for the second time in less than a year, watching Falcons wideout Julio Jones total 300 receiving yards in a loss to Atlanta, getting picked apart by Brees and losing in New Orleans, giving up a 17-point lead to Kansas City in the fourth quarter last week and losing on a game-winning Chiefs field goal. 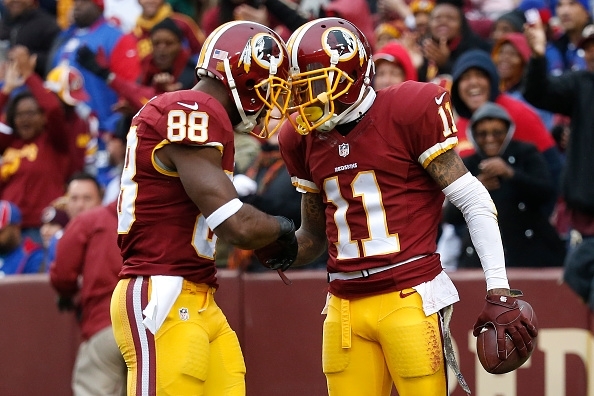 This team may be thrown off mentally. If Newton is the QB that many believe him to be, this is the type of circumstance where a talented MVP shows up. While the Panthers secondary has been ugly, the Saints have been worse as they are 32nd in the NFL in pass defense. That aspect along with a physical Carolina run game can limit possessions for New Orleans. 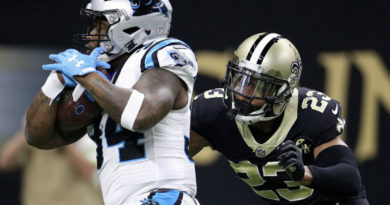 With so much on the line and their backs against the wall, a desperate Panthers team finds a way to hold off the Saints late to get a much-needed division win.